Your gift to the American Legion Chapman Post 138 Fund with the Community Foundation of Northeast Iowa will help support the American Legion Chapman Post 138 and its charitable activities. Your gift to the Amvets Post No. 49 Howard Hveem Scholarship Fund with the Community Foundation of Northeast Iowa allows the Community Foundation to award financial assistance to students pursuing higher education. As the cost of tuition continues to rise, it is more important now than ever to diminish the barrier of affordability and allow students to focus on what is most important - their education.  Your gift to the Nicklos and Leandra Andersen Family Fund with the Community Foundation of Northeast Iowa allows recommendations for grants to be made each year to support charitable causes that carry out the mission of the Community Foundation. Your gift to the Angels Memorial Fund with the Community Foundation of Northeast Iowa will go to the City of Evansdale, Iowa, for the benefit of the Angels Memorial project, a special project to remember the lives of Elizabeth Collins and Lyric Cook. Your gift to the Edna Anhalt Fund with the Bremer County Community Foundation will support the Allison Area Foster Family Support Group to benefit children in foster care and children transitioning out of foster care. Your gift to the Jack and Ginger Geelan Scholarship Fund with the Kossuth County Community Foundation will help provide scholarships to students demonstrating financial need from Whittemore, West Bend and Algona high schools (Public & Parochial) that will attend or currently attend Loras College in Dubuque. Your gift to the Arp Family Fund with the Winneshiek County Community Foundation will support the charitable activities of Northeast Iowa Community Action Corporation as it continues its mission to meet the primary needs of people and create opportunities for basic self-sufficiency through community partnership, education and the provision of services. Your gift to the Jack L. and Carol F. Aschenbrenner Fund with the Community Foundation of Northeast Iowa allows recommendations for grants to be made each year to support charitable causes that carry out the mission of the Community Foundation.